Nausea or vomiting is a commonly seen symptom in various physical ailments. It may occur due to indigestion, pregnancy, chemotherapy, sea-sickness or even due to an empty stomach. Some of us consider it as a trivial disorder and let it subside with time. But what we forget is that this teeny-weeny problem may take a gargantuan shape and turn out to be fatal. Sometimes, even certain negative stimulants like trauma, stress, drugs, alcohol, over-eating or pain can lead to nausea. 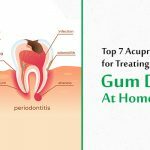 Though most of us resort to home remedies pop pills to stave-off nausea, there is a remarkable approach through acupressure that might help us deal with nausea in a more comprehensive way. 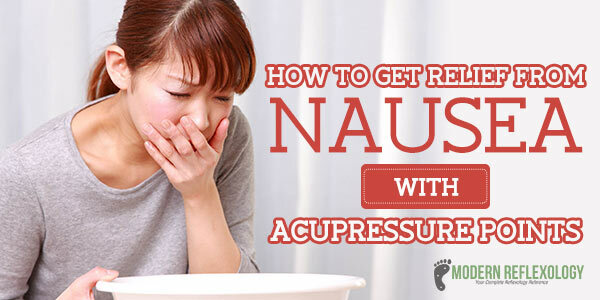 Believe it or not, Acupressure is the best ever home remedy to treat nausea due to any cause. The Acupressure therapy is an ancient Chinese practice which revolves around the dissipation of positive energy “Qi” or “Chi” across the various channels in the body to unplug the core energy points, which work as major stimulants to cure any physical ailments. This “Chi” is carried through 14 vital meridians in the body, which in turn connect to different organs and body parts, creating a network of energy or “LifeForce”. In acupressure, a single point can be stimulated to cure one particular disorder or a combination of ailments across the body. Acupressure is the most holistic approach to maintain the body’s overall well-being. Acupressure Large Intestine IV is the first and most important point to relieve Nausea and Vomiting. The Large Intestine IV Point is situated in between your thumb and index finger. 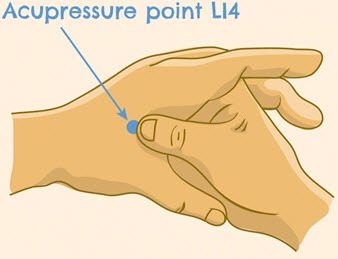 The exact point of Acupressure Large Intestine IV Point is in the webbing between the thumb and index finger. Apply pressure on it for 3 to 4 minutes from time to time, to get relief from nausea, vomiting and related problems. This point is one of the most effective to provide relief from Nausea and Vomiting. 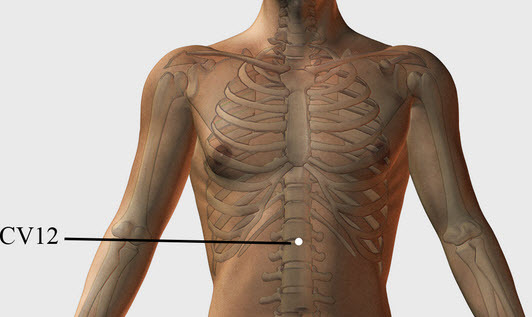 The Pericardium III Point is located inside the elbow. You can find it by folding your elbow. After folding your elbow, move towards end of crease and apply gentle pressure on the Acupressure Pericardium III Point for 3 to 5 minutes to get relief from Indigestion, Chest Congestion and other stomach problems. Acupressure Stomach 36 is a very useful and common pressure point to relieve nausea and vomiting. The Stomach 36 Point is situated underneath the Knee. The exact point is under the knee and near the shinbone. You can easily find the Acupressure Stomach 36 Point from the picture above. Apply mild pressure and massage the Stomach 36 Point for minimum 3 to 4 minutes to get relief from nausea and related problems. Acupressure Inner Gate is also a very vital stimulation point to ward off nausea. The Inner Gate Point is situated on the inside of your wrist, at 3 centimetres distance from your palm. Apply pressure on the Acupressure Inner Gate Point (Pericardium VI Point) to get relief from Nausea and other related problems. Stomach 44 is an effective pressure point to fend off nausea. The Stomach 44 Point is located in between the Second and Third Toe of your foot. You can find the Stomach 44 Point in the webbing between the second toe and third toe. Apply firm pressure on it and massage the area with your finger(s) on a regular basis to get instant relief from nausea related problems. 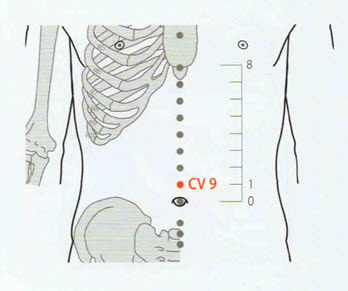 Acupressure point CV 9 is located one cun above the navel. This point is extremely effective to ward off nausea. If you apply mild pressure with your fingers on this point for approximately 4 to 5 minutes then you can get relieved from nausea and other problems like flatulence, edema, constipation and puffiness of skin. Conception Vessel 2 is also an effective pressure point, to relieve nausea, fatigue and weakness. The Conception Vessel II Point is situated in between the navel and pubic area. You can find the Conception Vessel II Point about 2 inches above the Pubic Bone. Apply gentle pressure on Conception Vessel II Point to get relief from nausea and other related problems such as fatigue and weakness caused due to nausea. 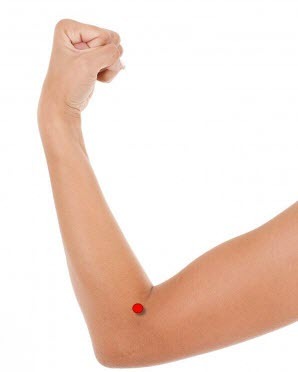 This point is very effective for instant relief from nausea and vomiting. 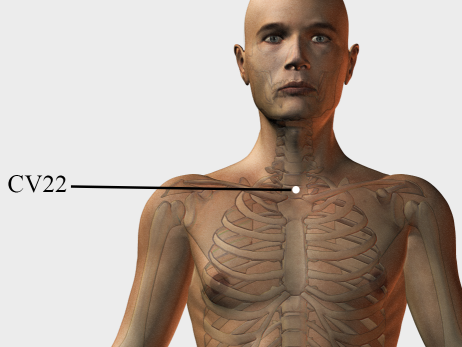 The Conception Vessel 22 Point is situated in between your Collarbones. Find the Conception Vessel 22 pressure point, applying gentle pressure with your fingertips for 4 to 5 minutes regularly. Applying pressure on it will help you to get quick relief from nausea and related problems. Acupressure therapy is all about the smooth orchestration of finger and palm movements across the pressure points. A skilled acupressure therapist slowly stimulates these acupressure points to channelize the energy flow across the body. 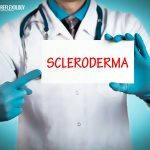 It enables the muscles to contract and relax, ease circulation of blood and enable proper flow of oxygen and nutrients, to boost natural immunity and restore an overall sense of well-being. Before any acupressure therapy, the therapist ensures you’re seated in a comfortable position and arms himself with his fingers, palms, elbow or feet to work on different meridians or pressure points. 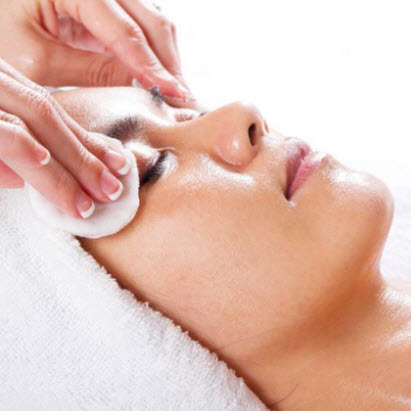 A typical acupressure session usually lasts for an hour and is often performed in combination with a particular massage therapy like Tai chi or Qi gong. The recipient is advised to wear comfortable and loosely fitted clothes so that there’s no obstruction while the pressure points are worked upon. The patient is asked to practice deep breathing and relaxation, especially while stimulating the areas which cause discomfort. Sometimes the practitioner may also use visualization to keep the patient in a relaxed mode and ensure proper energy flow across the meridians. You may sit back slowly or stand carefully once the session is over, as profound relaxation might give you some weakness. You should also have a glass of water after the therapy and will also be advised to do some exercises at home. Some of the acupressure movements implemented are, firm finger press, rotary movement or up-and down movement in repeated cycles. Some of the acupressure tools used are roller blades, acupressure mats, finger rings, pen massager, back hook massager and steel ball brush, which are available in online stores. 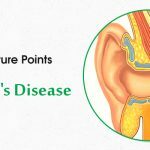 Acupressure is a technique which can also be implemented yourself with the help of acupressure charts and DVDs. You can use acupressure therapy daily by taking 3 to 5 minutes off your schedule. 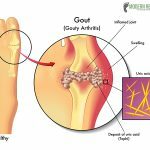 In case you’re suffering from any chronic disorder, have undergone surgery or are going through pregnancy, it’s always advisable to consult an acupressure therapist or your family physician. Acupressure is widely in practice these days, as remedy for the basic as well as the most chronic ailments. It is said to create an aura of positive energy flow not only in you, but also in the people you’re surrounded by. 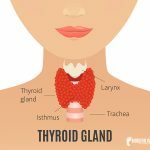 Acupressure therapy is one of the most universal self-healing, holistic techniques that has reduced our dependency on pills and revolutionized our lifestyle.